The study’s findings may also have implications for tourism, particularly in Orlando, according to UCF assistant professor Jihyun Kim. 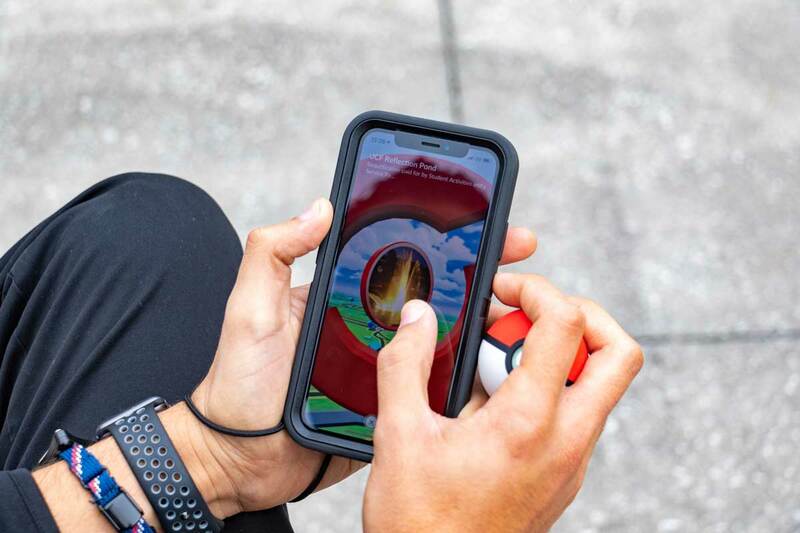 Researchers found that as Pokémon Go players had an increased sense of presence, so did their enjoyment of the game and in turn their exploration of new areas of their community and their sense of community belonging. Credit: Karen Norum. Pokémon Go isn’t just a fun augmented reality game. It may also help newcomers to communities and long-term residents develop a better sense of belonging, according to a recently published study in The Social Science Journal. “A lot of research indicates that we tend to be more isolated from our neighbors,” says Jihyun Kim, an assistant professor of communication in the University of Central Florida’s Nicholson School of Communication and Media. “We go to work, not knowing who lives next door, not knowing what’s happening on another street. Pokémon Go is a mobile augmented-reality game released in 2016 that tasks players with finding cartoon figures in real-world locations. The figures appear as digital characters superimposed on real-world surroundings. The researchers found that as players had an increased sense of presence, or the feeling that they were “there” and actually part of the game, so did their enjoyment of the game and in turn their exploration of new areas of their community and their sense of community belonging. Kim says the study’s findings may also have implications for tourism, particularly in Orlando. Kim co-authored the study with Kelly Merrill Jr. ’18, a UCF graduate pursuing a doctorate at Ohio State University, and Hayeon Song, an associate professor at Gachon University in South Korea. In the study, the researchers surveyed 325 Pokémon Go players from a large university in the United States, with an average age of 19. The respondents were evenly split between men and women. Presence is an important theoretical concept in media and communication-technology research, and studies have found that creating a sense of presence in audience members helps create an effective media experience for them, says Kim, who is an expert on the subject. She pointed to her soon-to-be-published study in the Journal of Radio & Audio Media and which was co-authored by Hocheol Yang, a doctoral student at Temple University. The study looked at the role of a type of presence, social presence, in the context of a radio broadcast about preparing for a tornado. The researchers found that when a radio host shared personal experiences, such as what the host had done to successfully prepare for a tornado in the past, listeners experienced a stronger feeling of social presence of the radio host. Then, in turn, the researchers found listeners were more likely to seek information about tornadoes than when the radio host simply shared the information about tornado preparation and didn’t include personal experiences. “When we embed personal stories a little more, even when sharing factual information, we tend to experience strong social presence of the message sender, and it facilitates more positive reactions to it,” she says. This personal connection to the audience could be a reason to avoid transitioning to automated news read by robots, such as the world’s first artificial-intelligence news anchor that debuted recently in China, she says. “Presence is one of the important factors that facilitates positive virtual experiences in the mediated environment,” she says. Kim received her doctorate and master’s in communication from the University of Wisconsin-Milwaukee. She joined UCF in 2017.